Take the hard work out of laundry days with this integrated washing machine from Beko. With its 7kg drum, it’s a great choice for medium-sized households. 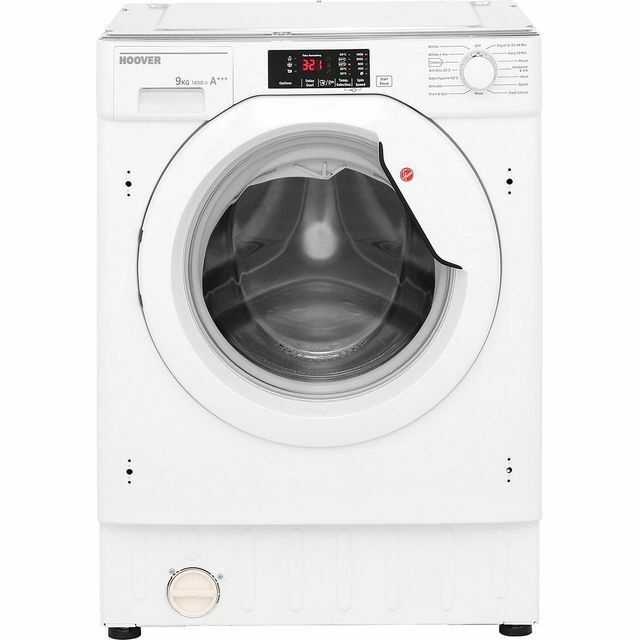 It has a fantastic Daily Quick programme which can wash a full load of laundry in just 28 minutes, helping you save time and money with every cycle. If you need your favourite outfit clean in a hurry, the brilliant Fast+ function shortens your wash programme while still delivering brilliant results. Even your silk blouses and knitted jumpers can be treated with care too, thanks to the delicate programme, which uses cooler temperatures and slower spin speeds to protect your favourite items. Chuffed to bits - much faster than our old one, easy to install and also quieter than our last one. BigSal; Brighton. Add a splash of style to your kitchen with this integrated Candy washing machine. Its 9kg drum makes it ideal for medium-sized households. The EcoMix 20° programme is kind on utility bills too, as it thoroughly washes different fabrics and colours at just 20 degrees to save energy. With the KG Detector, sensors weigh each load and automatically adjust the settings to save time and water. It also has a Hygiene Plus option which maintains a constant temperature during a 60 degree wash, to help get rid of allergens – so it’s great for people with sensitive skin. Make laundry days more efficient with this integrated washing machine from Hoover. This model is ideal if you live in a medium-sized household and like being energy-conscious, as it has a 9kg drum and a really efficient A+++ energy rating too. With the clever KG Mode, sensors weigh your clothes and automatically adjust the settings to suit, helping you save water and energy. You won’t even need to spend time pre-sorting your laundry on busy week nights, as the brilliant ActivEco 20°C programme lets you wash different fabrics and colours together at just 20°C, making it more economical while giving everything a thorough clean. If you want to make short work of laundry days, this washing machine from Hoover is a great choice. It automatically adjusts settings to make sure every load gets the perfect treatment, and it has a brilliant programme that lets you wash different colours together at just 20 degrees. 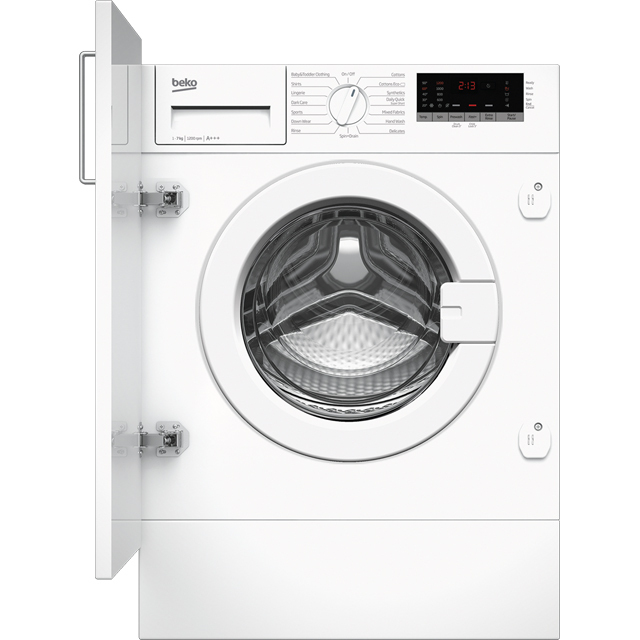 Leave all your clothes spotless with this superb integrated washing machine from Hotpoint. It has a 7kg capacity, which means it’s the ideal choice for medium-sized households. When you have to get tough on dirt, the Anti Stain 100 programme can remove 100 of the most common stains on a 20 degree cycle. And, when you need these brilliant results in a hurry, the Anti Stain Quick Wash is super-handy, as it banishes up to 30 everyday stains in only 45 minutes. Thanks to this model’s Certified Woolmark Blue programme, which uses cooler temperatures and a gentler spin, it’ll take extra-special care of your favourite woollens too. 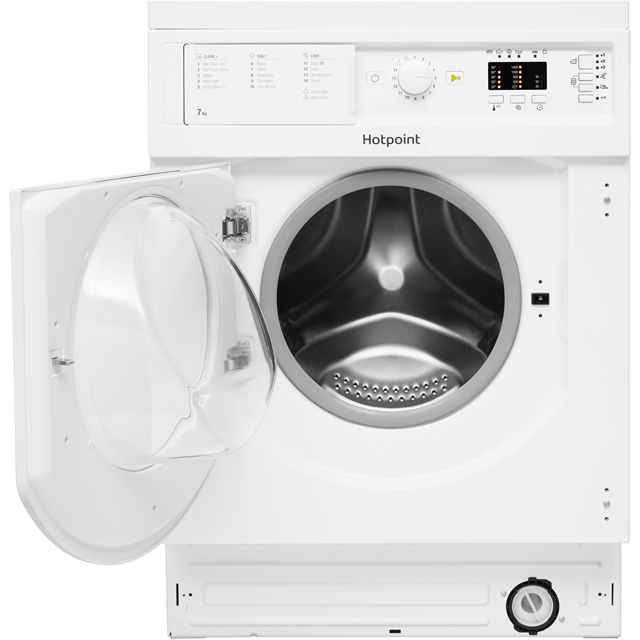 If you’re looking for a washing machine to give your clothes a really powerful clean, this model from Hotpoint is a brilliant choice. It’s got a special programme that removes tough stains quickly, and it’ll also take great care of all your woollies. 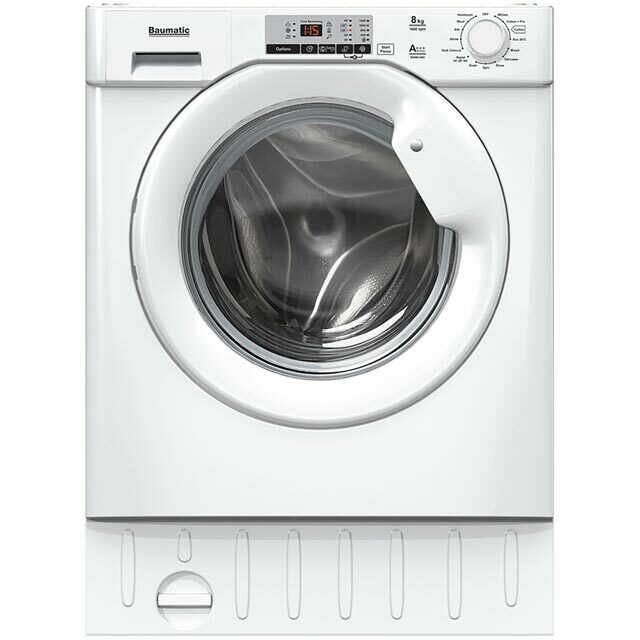 Leave every outfit totally spotless with this fantastic washing machine from Baumatic. As it has an 8kg drum, this model is an ideal choice for medium-sized households. Thanks to its super-efficient A+++ energy rating, it’ll be kind to the environment as well as your utility bills. This means it has an estimated annual energy cost of just £30.18. 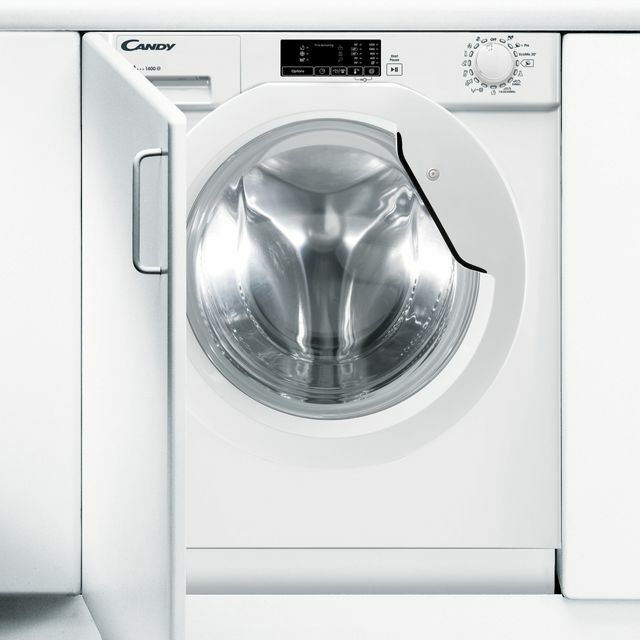 It even has an intelligent KG Detector that uses sensors to measure the weight of your clothes, and automatically sets the perfect wash time for your load – so your laundry is always left looking like new.